The famed sasquatch chronicler weighs in on debunkers, the media, the best evidence to date, and the need for a bigfoot body (or not). Ancient pictographs and traditional stories point to the significance of sasquatch in Native American culture. What purported photographs of sasquatch are good enough to be called 'evidence' and under what standards should they be judged? Occasional conversations with leading researchers and investigators regarding the animal commonly referred to as bigfoot. Photos | Bonus download coming soon! 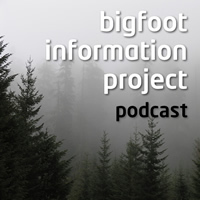 © 2013 Bigfoot Information Project. Some rights reserved.